Apply Online for the Taiwan Fellowship from May 1 to June 30. 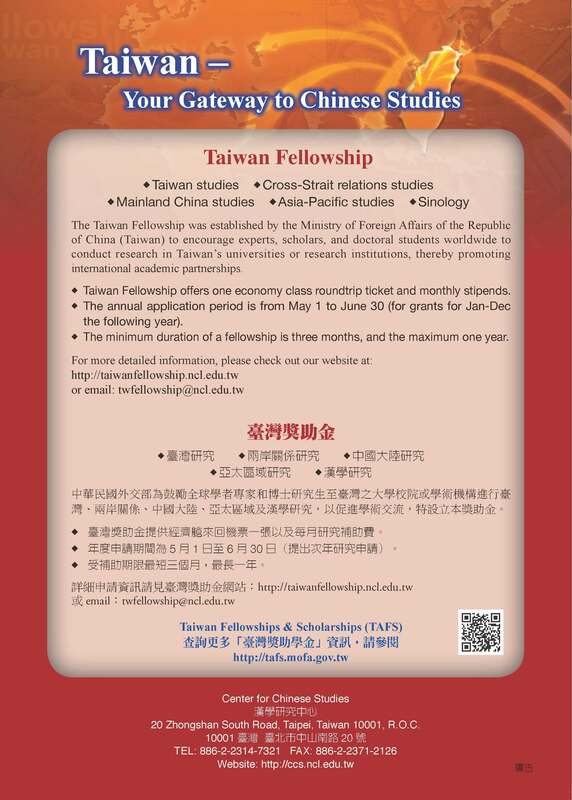 The application period in 2015 for the Taiwan Fellowship is from May 1 to June 30. Please go to Online Application (http://taiwanfellowship.ncl.edu.tw/eng/apply01.aspx) and fill in the application form and upload relevant documents. By submitting, please send all the official copies of your application documents to your R.O.C (Taiwan) Embassy or Representative Office by July 1.